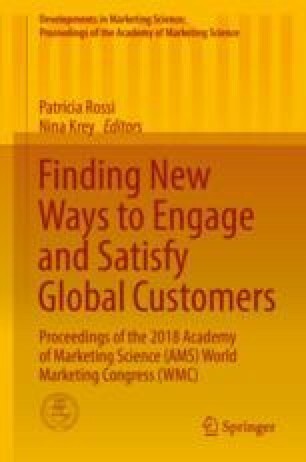 Amid the shift in emphasis from marketing mix to relationships, prior research has extended the seminal work of Fournier (1998) and drawn on different theoretical perspectives to examine consumer-brand relationships (CBR): (1) identification perspective based on social identity theory, (2) trust-commitment perspective as in relationship marketing literature and (3) emotionally based concepts derived from interpersonal theories. This diversity has made marketers uncertain about what would be the most appropriate relationship-building strategies that will foster brand loyalty. Particularly, recent development in the last approach centred around brand love, a construct having been criticised due to consumers’ possible difficulty in acknowledging their love for a brand (Albert et al. 2008; Bagozzi et al. 2017). This study extends prior research and integrates the main concepts derived from the above main approaches to propose a framework investigating the impact of perceived quality, brand identification, brand trust and brand relationship closeness on brand loyalty. Especially, this study argues for the concept of brand relationship closeness that captures emotional aspect of CBR and includes consumers’ love/passion, intimacy and interdependence with a brand (Berscheid 1994). A survey using a sample of 400 consumers of fashion clothing in Vietnam, an emerging market context, reveals that the impact of perceived quality on brand loyalty is mediated by brand trust and the impact of brand identification on brand loyalty is mediated by brand trust and brand relationship closeness. The findings contribute to the greater understanding on the link between distinctive relationship concepts, which are similar to Fournier’s (1998) brand relationship quality dimensions, as well as provide support that these concepts span three phases of the relationship development process: cognitive—affective—conative. Trusted and close relationships built upon the relationship foundation mirroring brand identification and perceived quality in turn become driver of brand loyalty. This study also contributes insights into emerging market research stream to advance the body of knowledge on CBR and maintain its practical relevance. Furthermore, the study provides practical implications for marketers in Vietnam and other similar market contexts to take into consideration to maximise the impact of relationship-building strategies. Particularly, they need to focus on building brand trust and brand relationship closeness, in order to transform perceived quality and brand identification into brand loyalty.